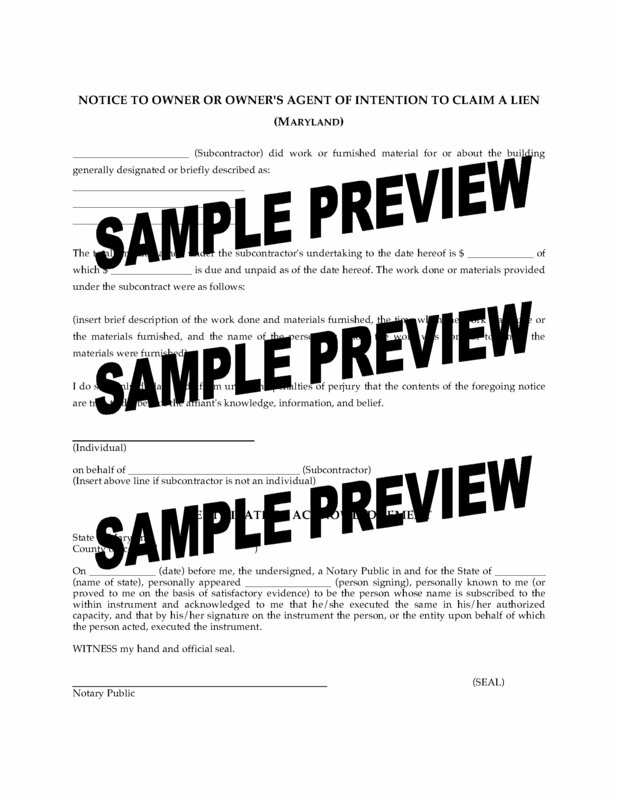 Start the ball rolling on your lien claim with this Notice to Owner or Owner's Agent of Intention to Claim a Lien. Under Maryland law, a subcontractor is required to give notice to a property owner (or agent for the owner) that it intends to file a lien claim for goods, labor or services provided for improvements to the owner's property. The form includes instructions on how to serve the Notice. You can lose your lien rights if you don't comply with the legal requirements for giving notice. The first step is to buy and download the Maryland Notice to Owner or Owner's Agent of Intention to Claim a Lien.